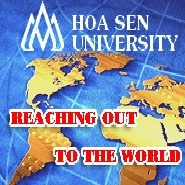 Hoa Sen University [HSU] is loca­ted in the center of Ho Chi Minh city – a dyna­mic center of Vietnam and the region. 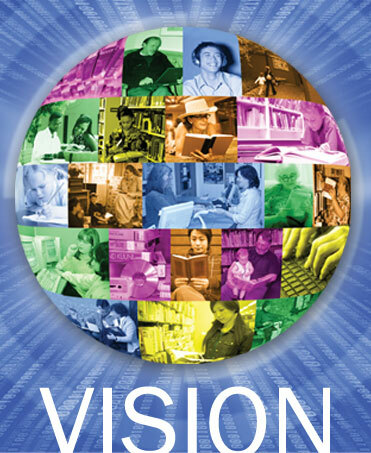 Founded in 1991, during the stage of eco­no­mic and social tran­si­tion to global inte­gra­tion, Hoa Sen University iden­ti­fied its objec­ti­ves for pro­gres­sive real edu­ca­tion and trai­ning to directly meet the needs of society through pro­grams for trai­ning tech­ni­cians. The University’s trai­ning pro­gram to meet the needs of society was not only sus­tai­ned, but enhan­ced when it became a col­lege in the late 1990’s. Its vision, mis­sion and phi­lo­so­phy of trai­ning based on this core value pro­vi­ded the basis for chan­ging its status from Hoa Sen College to Hoa Sen University in 2006. To offer the degree pro­grams of voca­tio­nal tech­ni­cian, junior col­lege, bache­lor of arts/science and post gra­duate, HSU esta­bli­shed four depart­ments. They are : Training and International Cooperation, Economics and Commerce, Science and Technology, and Linguistics and Culture. Society has reco­gni­zed qua­lity in trai­ning because after gra­dua­tion, stu­dents are better able to become employed, main­tain their job per­for­mance, fur­ther improve them­sel­ves, and show a high level of inte­gra­tion into the global work force. Following an edu­ca­tio­nal metho­do­logy that is stu­dent-cen­te­red with an under­lying phi­lo­so­phy of “honesty- qua­lity inte­gra­tion”, Hoa Sen University has concen­tra­ted on deve­lo­ping its lec­tu­ring staff, its edu­ca­tio­nal pro­grams, and its inter­na­tio­nal coo­pe­ra­tion. Its Vietnamese lec­tu­rers are mainly trai­ned over­seas and many of their lec­tu­rers are from foreign coun­tries. The trai­ning pro­grams are desi­gned towards sha­ring with and rela­ting to the deve­lo­ped coun­tries of the world ; the uni­ver­sity’s system of trai­ning cre­dits have been esta­bli­shed fol­lo­wing a North American format in order to make the stu­dents active in their study. International coo­pe­ra­tion is consi­de­red cen­tral to gai­ning the goals of trai­ning qua­li­ties which meet inter­na­tio­nal stan­dards. During the gra­dua­tion cere­mony, the stu­dents of Hoa Sen University often take an oath that they will apply the values of the University to real life, both domes­tic and inter­na­tio­nal. Training gene­ra­tions of intel­lec­tuals to assist in their inte­gra­tion into the coun­try and the world is the mis­sion of Hoa Sen University. 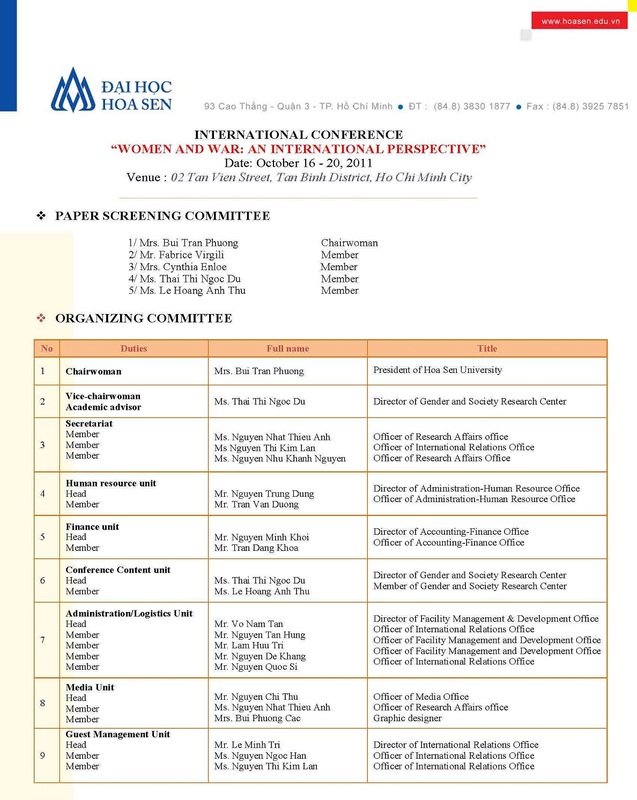 Hoa Sen University is a pri­vate, not for profit Vietnamese uni­ver­sity which focu­ses its work on qua­lity. Based on honest value and self-res­pect, Hoa Sen University gua­ran­tees a heal­thy envi­ron­ment for trai­ning. This endea­vor will lead HSU to the status of being an inter­na­tio­nally reco­gni­zed uni­ver­sity in terms of trai­ning qua­lity in sup­port of stu­dents to pro­mote their abi­lity in thin­king, know­ledge, skills and indi­vi­dua­lity in order to esta­blish their posi­tions in life, set them­sel­ves up in busi­ness, serve their com­mu­ni­ties and adapt to chan­ging socie­ties. Hoa Sen University has esta­bli­shed an image of relia­bi­lity and deter­mi­na­tion in order that stu­dents may reach the highest status in terms of qua­lity edu­ca­tion. With spa­cious faci­li­ties, Hoa Sen University crea­tes an inter­na­tio­nal trai­ning envi­ron­ment that ins­tills free­dom for cri­ti­cal thin­king, inde­pen­dence, and pro­fes­sio­nal skills for stu­dents. These attri­bu­tes will be achie­ved through pro­grams and modern trai­ning methods, prac­ti­cal acti­vi­ties, prac­tice, research, appli­ca­tion, inter­na­tio­nal exchange, and inte­res­ting and effec­tive extracur­ri­cu­lar acti­vi­ties. This endea­vour can lead HSU to the status of an inter­na­tio­nally-reco­gni­zed uni­ver­sity in terms of trai­ning qua­lity.